Xiao Ao Jiang Hu is a wuxia novel by Jin Yong. The story is about friendship and love, deception and betrayal, ambition and lust for power. 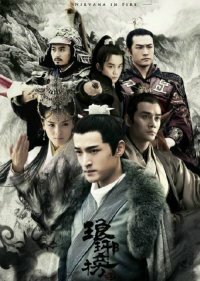 In the middle of it all is, Ling Hu Chong, an orphan who is the senior student of Yue Buqun, leader of Huashan Sect, and the protagonist of the story. 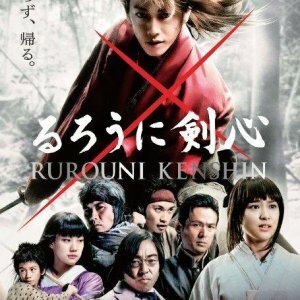 The story deals with his journey and development as a swordsman and his witness to the various intrigues which take place in the martial world of the story. Story: Ling Hu Chong (played by Wallace) is a carefree and honourable man. He was the eldest disciple of the Hua Mt Sect and a favourite amongst his juniors and teacher. However, Ling Hu Chong's teacher is an ambitous man with ulterior motives masquerading as a virtous person. As Ling Hu Chong ventures through wulin (the martial arts world), his easy and honest personality garnered him many friends from the 5 mountain sects and the Sun Moon Holy Cult. Eventually, his teacher turned Ling Hu Chong into a scapegoat for all of his evil deeds, including heaping blame of the murder of one of his student on Ling Hu Chong. Lin Hu Chong got kicked out of the Mt Hua Sect. That is when his true adventures begin. The love story in this 2013 version has a good ending, unlike the original story from the novel where all the women Ling Hu Chong loves dies and he is left alone as a wanderer. The most notable change in the storyline comes in the form of Dongfang Bu Bai (played by Joe Chen). In the original story, Dongfang Bu Bai is a man who became the powerful leader of the Sun Moon Holy Sect. He mastered the Kuai Fa Manual. However, in order to master this manual, which is very "Ying" (feminine) in nature, he must castrate himself. The more he learned from the manual, the more feminine he became. Eventually, he regarded himself as a woman and developed romantic feelings for Ling Hu Chong. It was this hint of homosexuality that did not sit well with audiences of the previous versions and readers of the novel. 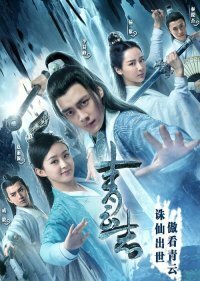 Therefore, in this 2013 version, Dongfang Bu Bai has a new story - one that begins with Dongfang Bu Bai being an actual woman, but in order to succeed in the wulin and not to be bullied ever again, she lives her life as a man. When she meet Ling Hu Chong, she developed feelings for him, but Ling Hu Chong is conflicted as Dongfang Bu Bai is a cold hearted killer. How could an honourable man loves a monster??? Watch and find out. Acting/Cast: The chemistry between Wallace's Ling Hu Chong and Joe's Dongfang Bu Bai is siiizzzzzling! This is the only version so far when most ppl who had watched it wanted Ling Hu Chong to end up with Dongfang Bu Bai! 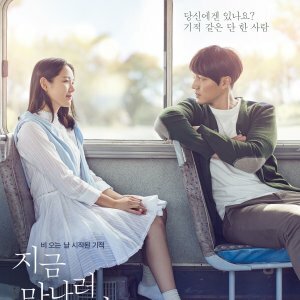 It is because of this that I give the acting 9/10. It is 1 mark away from perfect because the chemistry between Ling Hu Chong and Ren Ying Ying is neutral at best and yet, it is Ying Ying that Ling Hu Chong ended up marrying at the end. Imagine the frustration of fans of Wallace-Joe! LOL (btw, I do not consider this a spoiler as it is widely known knowledge amongst fans of wuxia series and readers of Louis Cha's novels. There are many versions of this story made in the past. Me thinks the 1996 version is the closest to the novel). Rewatch value: It is 42 episodes if you watch from the DVD version and 56 episodes from the tv version. I might re-watch this a few years later when I have the time. I am quite impartial to Swordsman aka The Smiling,Proud Wanderer. I still think that the best novel of Loius Cha comes in the form of Demi-Gods and Semi-Devils and the Condor Heroes Trilogy. I am waiting with abaited breath now for the 2013 version of Demi-Gods and Semi-Devils. Rumour has it that it is due to be released mid this year. Fingers crossed! Overall: It was entertaining while it lasted. 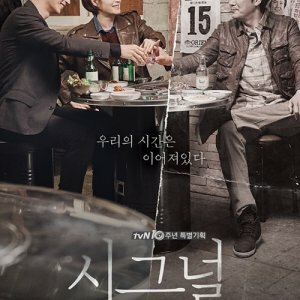 I love the scenes between Wallace and Joe... they are the best features of this drama. 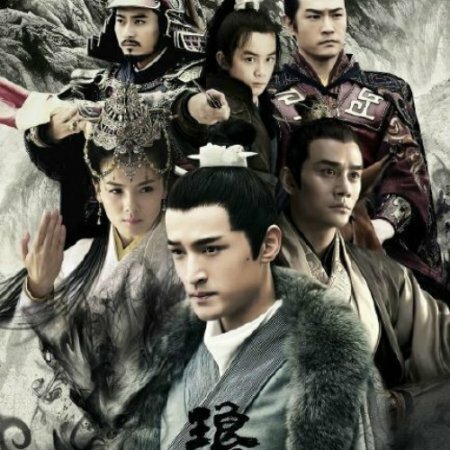 Joe Cheng makes the most beautiful and coldly powerful Dongfang Bu Bai ever! The other parts are passable. I give this an 8/10. 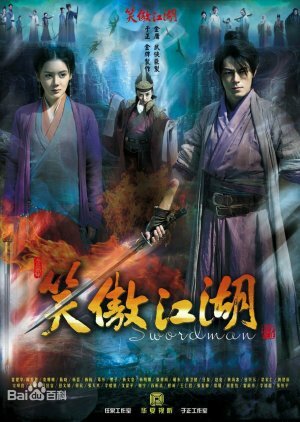 Not bad but not the best wuxia around. Despite all the frustration that this drama has brought me due to the main character loving people like loving food today this kind, tomorrow that kind,i have one word DONG FANG BU BAI, if every character was as strong willed and dint need saving all the time like her umm.. him? her? okay her. dramas would be miles away, she had charisma,my god she was awesome, she is the only reason i kept on watching,well her and the cool kung fu, the actress who portrayed dong fang bu bai is really good seriously she had me hooked in the very first episode little did i know of the disappointment to come, the story was fine, just that the ending was too rushed but i highly recommend this drama , half of it at least.